Roulston Scar Iron Age Hillfort is a scheduled site in the south west corner of the National Park. Previous investigations by the Landscape Research Centre (in 2013 and 2015) on the north-eastern rampart of the hillfort located a substantial palisade trench cut into the top of the back of this prehistoric rampart. The sharpness of the buried remains and the increased organic nature of the fills suggested a short period of re-use and a date within the historic period for this – it was clearly much later than the established prehistoric use of the site. But no material evidence was recovered which could provide even an approximate scientific date for this significant addition to the defences of the hillfort. The known event in the locality that could best explain such a major re-fortification of the defences is the Battle of Byland, which took place on 14th October 1322 between the forces of Edward II and Robert the Bruce, resulting in a victory for the Scottish army. 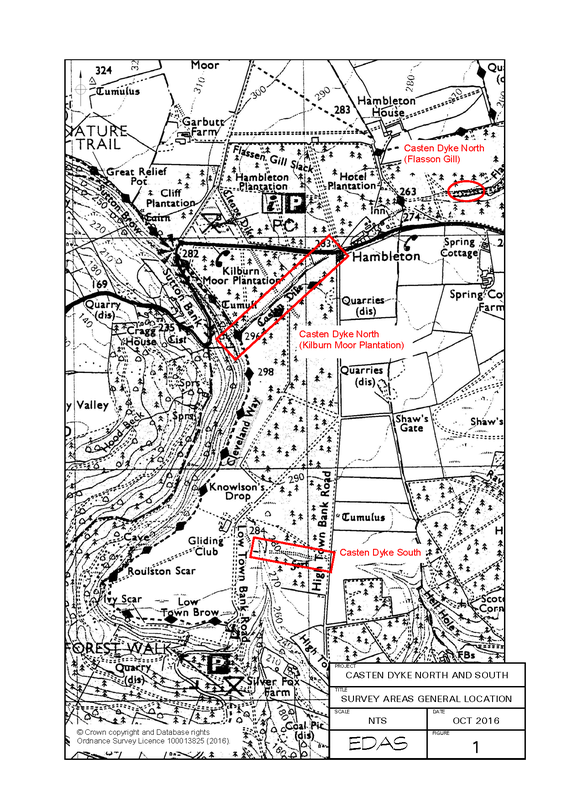 So as a follow-up to these initial investigations, the National Park commissioned archaeological surveyors (Ed Dennison Archaeological Services Ltd), during the first part of 2016, to record the form of the supposed prehistoric earthworks in close proximity to Roulston Scar in the hope that further relevant information would be revealed. Both these earthwork dykes, the Casten Dyke South and the Casten Dyke North, have anomalous features which suggest that they have been remodelled since they were originally built. Parts of their ditch profiles are far too steep and sharp to be prehistoric since earthworks tend to slump and soften with age. It has also been previously suggested that the Casten Dyke South may have been mediaeval rather than prehistoric in origin and could have been specifically constructed for the battle. Both the Roulston Scar Hillfort and Casten Dyke South have their defences facing north, protecting two large steep-sided promontories of land respectively 24 and 28 hectares in extent which could have served as seemingly strong positions for use as encampments for the English army. Facing south towards them, across a gap of between 880 to 1300 metres, is the Casten Dyke North. So might these earthworks mark the respective positions of the English and Scottish armies in October 1322, before a part of the Scottish army managed to outflank and rout the English forces? The surveyors concluded that both dykes lack firm dating evidence but do show evidence of substantial later modifications. The Casten Dyke North more convincingly fits the pattern of a later prehistoric cross-ridge dyke, whilst the Casten Dyke South is clearly unconnected with the prehistoric defences at Roulston Scar and would work better as a medieval or post-medieval boundary, which could – perhaps – either have been first constructed or re-fortified in the early 14th century. By sealing off the north side of a plateau, and with very steep slopes on all other sides, any English force encamped within would have felt they held a reasonably secure position, particularly if they were augmented by another force close by to the west behind the modified northern rampart of Roulston Scar. 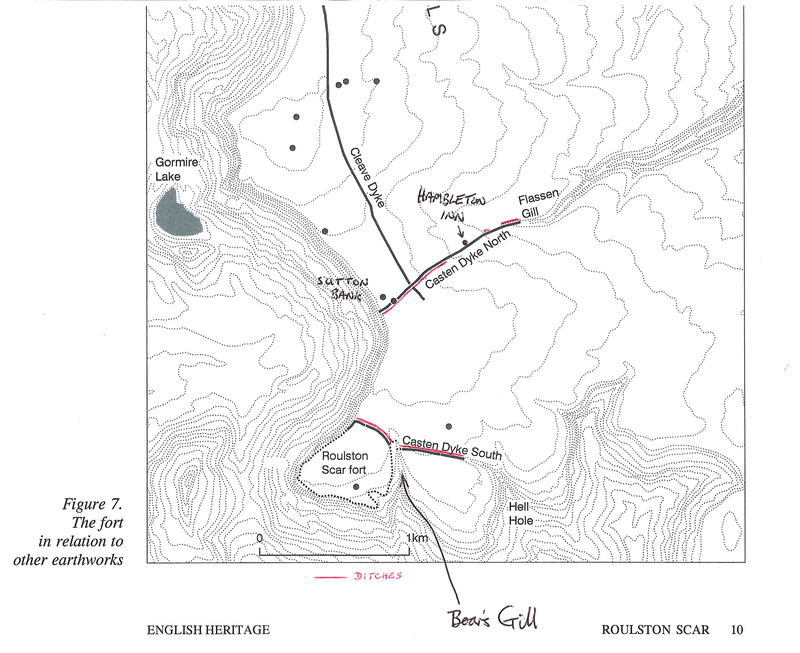 The plateau site overlooks Boar’s Gill and Hell Hole, both steep-sided small valleys which would have provided routes up the natural escarpment for the Scots forces seeking to outflank the English army which they ultimately did. If this was the case, then some re-assessment of the battle itself might be required. 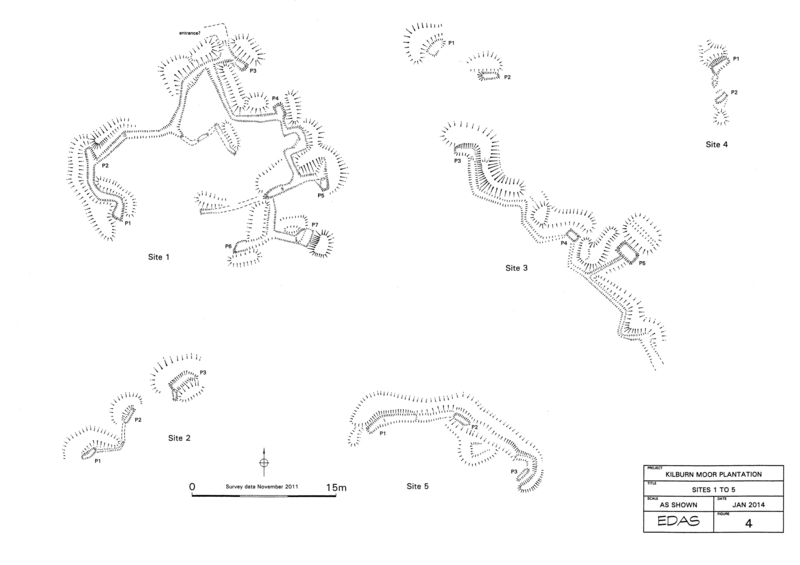 The traditional narrative suggests that the battle was a hastily organised action, but the use of earthworks would perhaps indicate that it involved more preparation on both sides. One factor that all previous surveys have largely underestimated is the impact of Second World War activity affecting both earthwork dykes. 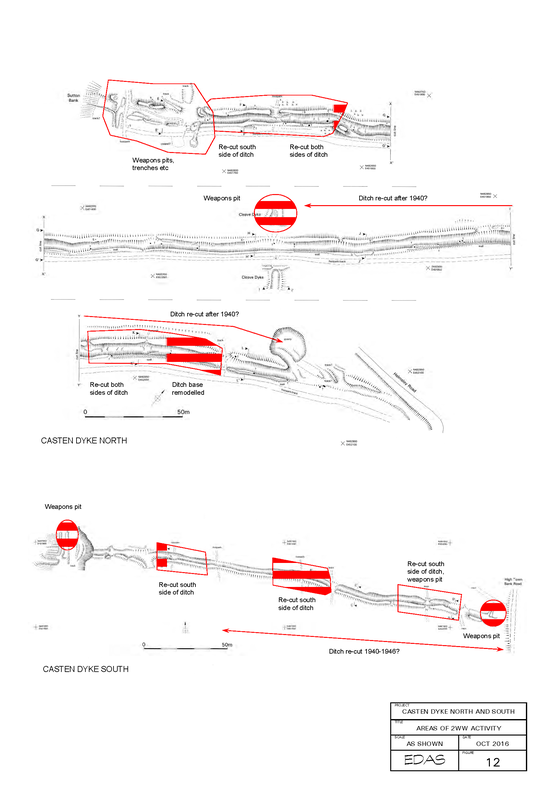 The 2016 survey found evidence of significant amounts of re-cutting of the dyke ditches, in sections up to 70 metres in length, to provide a very steep (i.e. good defensive) profile together with breaks for access, slit trenches and weapons pits. This has obvious implications for the evidence of a mediaeval battle, as extensive WWII wartime alterations may have obscured earlier alterations undertaken in 1322, particularly if these were done somewhat hastily and piecemeal prior to the battle. 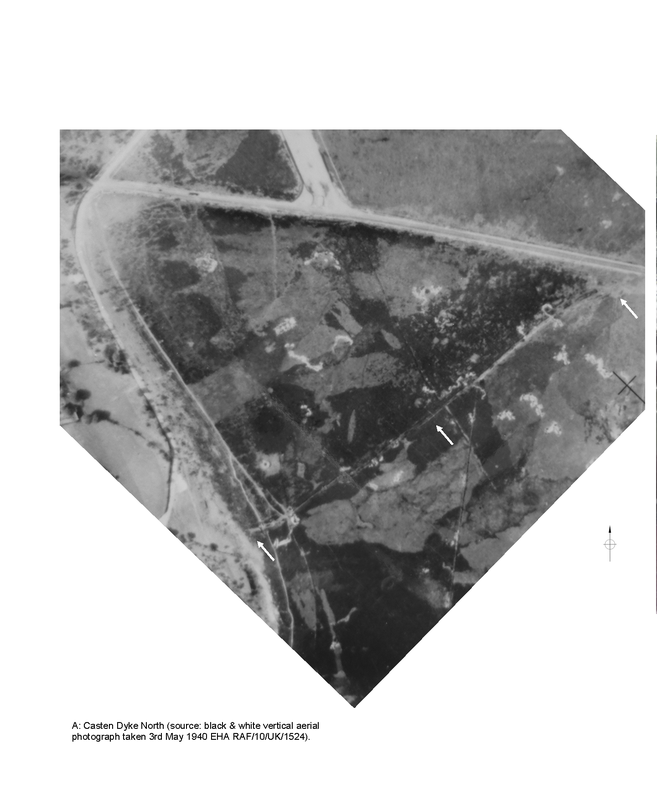 The recent survey has greatly increased our knowledge of local activity in the 1940s in addition to that revealed by previous surveys of slit trenches in the area of Kilburn Moor Plantation, around the perimeter of Roulston Scar gliding field owned by the Yorkshire Gliding Club, and those visible on RAF aerial photographs from May 1940 where the slit trenches are revealed by pale lines of upcast from the ditches that were dug or re-cut. Taken together the evidence demonstrates that there is a significant area of WWII military earthworks in this area. They appear to be grouped and so are unlikely to all be exactly contemporary or to serve the same purpose. Some of these earthworks may relate to troop training, but those closer to the gliding field may be a defence against potential enemy landings. So far, only a proportion of the trenches visible on the old aerial photographs have been located and confirmed on the ground, whereas those within Kilburn Moor Plantation have already been subject to detailed survey (by Ed Dennison Archaeological Services Ltd). Unfortunately it is still not yet possible to conclusively confirm the site of the Battle of Byland despite the tantalising information we’ve collected so far. Further work would be needed to acquire more information that could attest to this location. With the 700th anniversary of the Battle of Byland coming up in 6 years’ time it could be very timely. This entry was posted in Events, Historic Environment, National Park, North York Moors and tagged 20th century history, Archaeology, Historic, Local history, Mediaeval, Prehistoric, World War 2 by North York Moors National Park. Bookmark the permalink. Interesting information. I must go back up there for a walk soon.